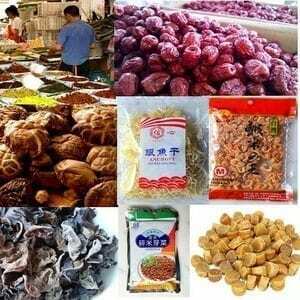 Finally we arrive at one of the most important categories of ingredients in Chinese cooking. Where would we be without the holy trinity of Chinese aromatics that is scallion, ginger, and garlic? What sad and lifeless food would we be subject to?!! Okay, so we’re being dramatic, but seriously, this page has got the low-down on some of the most important ingredients in our arsenal. Read on for enlightenment! Scallions or 香葱 and pronounced in Mandarin as xiāng cōng is the most common and identifiable onion in Chinese cooking. In fact, just about all Chinese refer to it simply as 葱 “cong”. We say “scallion,” others says “green onion”…It’s all good, and whatever you like to call it, it’s the same ingredient whether it’s Chinese, Asian, Cajun, Mexican or some other cuisine. We LOVE scallions–we buy it often and in large quantities, and during the summer we grow it in our garden. We just can’t get enough. When we think of scallions, we think of dishes like Scallion Ginger Shrimp and Scallion Pancakes, in particular, but quite literally, you can find this awesome allium in the majority of our savory dishes. Buy dark green scallions since it indicates that they are fresh. Scallions that have seen better times are generally yellowed and worst yet, a little slimy. 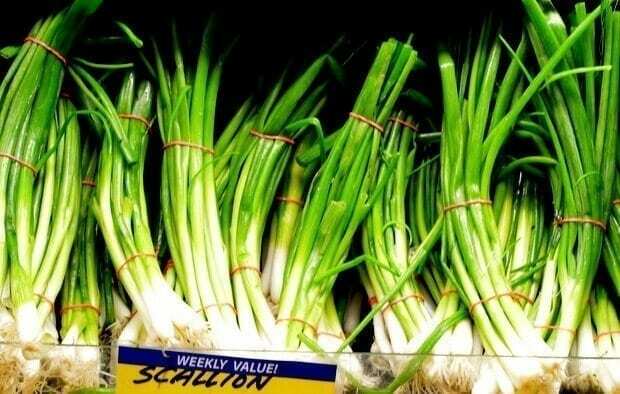 Many markets sell scallions that have been in sitting in cold or iced water and sometimes water is sprayed on them to keep them fresh so sometimes they are quite wet. In this case, you should shake off the excess water and place them on a kitchen towel on the counter to dry out before storing them in the refrigerator. This definitely prolongs fridge life of scallions. You will find that some of our recipes ask you to separate the white and green portions of the scallions. Why you ask? The green portions are great for color and garnish and offer a milder flavor when added to finish a dish. The white portions will add a more sweet onion flavor when cooked. Follow our directions on cutting scallions because it matters! Lengthwise or julienned cuts are great for steamed fish and lo mein noodle dishes and chopping them are essential for fried rice and great for garnishes. What is a large green onion anyway? The first time I saw these in Beijing, I called it a large scallion on steroids but when I asked, people said it was 大葱, dà cōng in Mandarin or “big onion” (that’s the literal translation). Okay…So only big onions and no corresponding baby-onion-like scallions? Basically, these seem to be overgrown scallions. It’s certainly tougher than a scallion, by virtue of size alone, but the flavor is virtually the same; and though it looks like a leek, they are most definitely closer to scallions. So, in conclusion, who the heck knows? We consider it to be a local Chinese vegetable, since we’ve only ever encountered these in China. While in Beijing, we used these all the time, often in place of scallions, since they were more readily available. 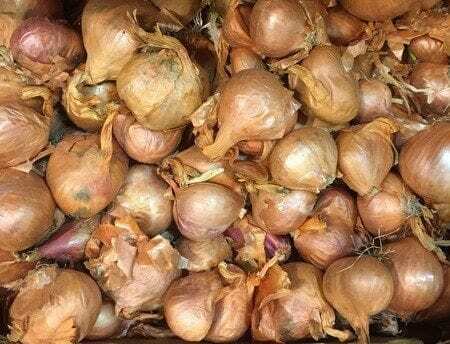 Onions or 洋葱 and pronounced in Mandarin as yáng cōng and literally mean western onion. The Chinese character, 洋 or yáng means “foreign” and is used to refer to anything western. 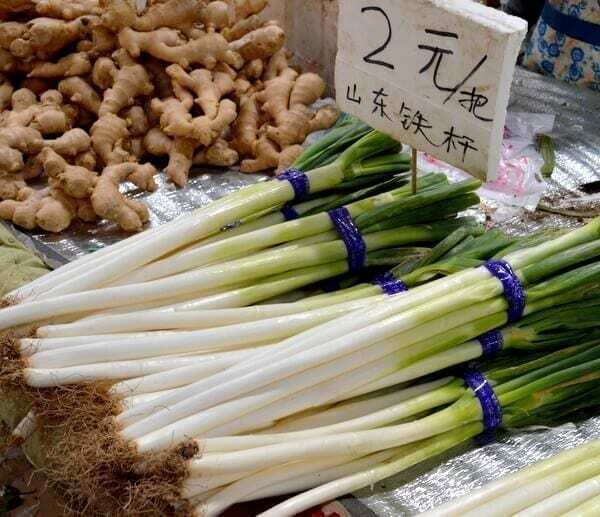 While onions are used in Chinese cooking, especially in western Chinese dishes like shrimp fried rice, most dishes you find in China use other onion/allium varieties found on this page like the big onion or大葱, dà cōng, Chinese chives, or scallions. Leeks, when translated in online dictionaries are 韭葱 or jiǔ cōng but I have not actually heard of this expression until I looked it up. 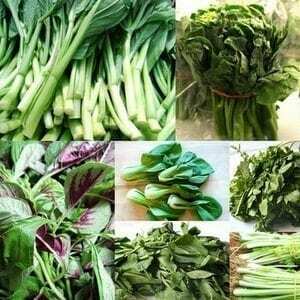 This is one of those vegetables that are not commonly found in China but they resemble some of the vegetables like green garlic greens and the da cong big onions. If the vegetable is not common in China, then names become difficult! 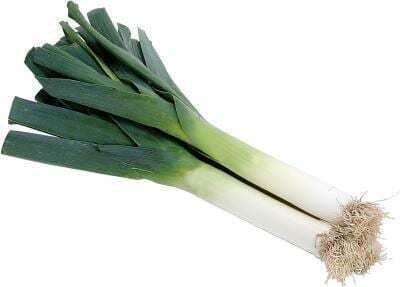 Leeks are quite common in western cooking, and, in the US, only a small portion of the green section is kept as the tops are considered tough and inedible. I think there is a bit of confusion regarding leeks in Chinese cooking and what they are called. 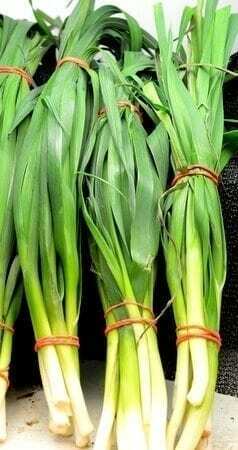 Bill’s mom used to call leeks “syun” but that word actually refers to the green of the garlic which s actually garlic greens which is the next entry and picture. In any event, we use leeks a lot in our cooking and sometimes prefer it over onions, a good example is our Pepper Steak with Leeks. When it comes to Chinese cooking, however, a bit more of the green part is usually used. Leeks are used in the traditional Buddha’s Delight (Lo Han Jai) providing sweetness and flavor to the dish. 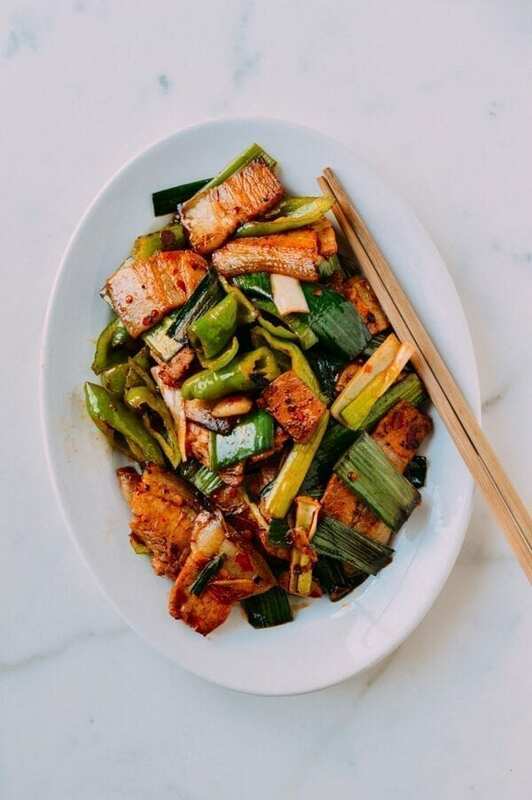 Leeks are also a key ingredient for Twice Cooked Pork, and the darker green parts are often included in the dish; a hot wok and plenty of stir-frying oil renders the green bits tender and sweet. 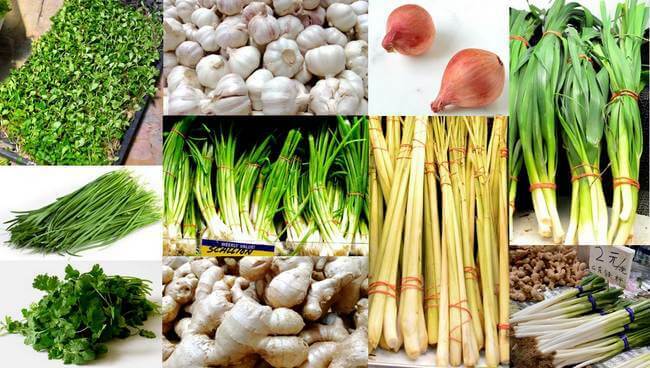 Green garlic is generally referred to simply as suàn or 蒜 and in Cantonese pronounced as “syun”. Green garlic is not that common of an ingredient and many times is mistaken for scallions or leeks but like garlic, it is very pungent in flavor. Green garlic is also used many ways in western cooking for their flavor and color in sauces and soups. In China, there are some signature dishes that use garlic greens; one that comes to mind is a Hunan dish cooked with preserved pork belly and garlic greens. This dish can be made with leeks or green garlic. Garlic scapes or 大蒜花 dà suàn huā (literal translation is garlic flower) are the flower bud of garlic. Cantonese people call these garlic scape “syun sum” or “garlic hearts”. These buds and stems are removed from the garlic plant in order for the garlic bud to develop an d grow large. 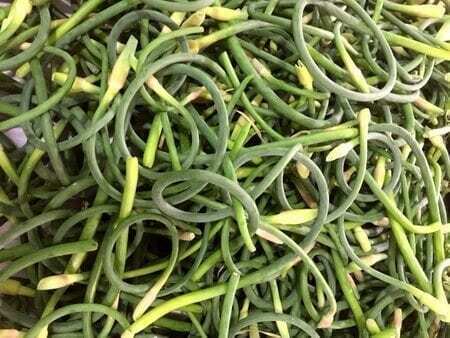 Garlic scapes taste just like garlic and are more common in China than in the US, from what we have seen. Most garlic scapes we’ve seen in the US markets are curlier and smaller than the variety found in China, and they are quite a bit more expensive as well. The picture below is from the local market near our apartment in Beijing; you can see how full and tender these garlic scapes are. 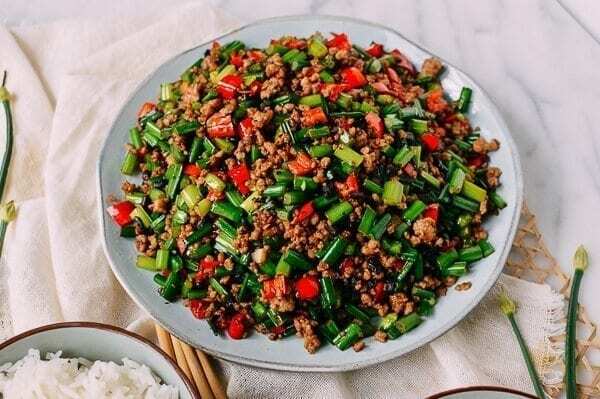 They are regularly available in large quantities during the summer months and we love to have them stir-fried with some julienned peppers and chunks of pork. Tasty. Garlic scapes or garlic stems found here in the US (notably more curly and a bit tough looking). For stir fry dishes, these garlic scape usually need to be peeled to remove the tougher outer skin. Garlic is universal in all cultures and in Chinese, 大蒜 is pronounced in Mandarin as dà suàn and in Cantonese as “daai syun” which literally translates to “big garlic”. Growing uop in a Cantonese family, a more common name is simply “syun tao” or “garlic head” which when you think about it,. makes a lot of sense. Even in English we say get me a head of garlic. 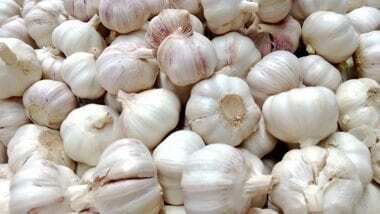 or We use garlic so often that we’re not sure what our cooking would be like without it! Thankfully, garlic’s awesomeness is a fact agreed upon by the majority of the world, so being garlic-less is a problem we’ll hopefully never have to contend with. But we felt it deserved a spot in this glossary simply because it’s a foundation for so many of our recipes. Most of our veggies are simply stir-fried with oil, garlic, and salt–perfection. Ginger or 生姜, pronounced shēng jiāng in Mandarin is used extensively in Chinese cooking. Pronounced “geeong” in Cantonese dialect, fresh ginger is used often in steamed fish dishes. 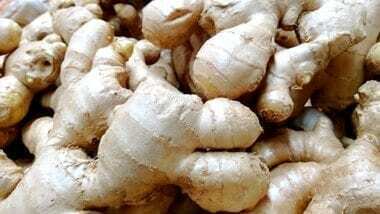 You can find ginger easily in your local grocery store, but it is highly likely that it will be cheaper, fresher, and more abundant at an ethnic grocery store. 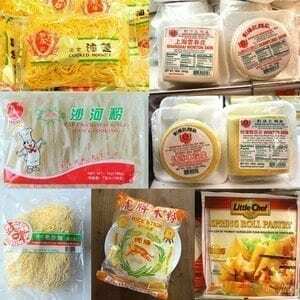 Chinese or Indian groceries are probably your best bets, as these two cuisines use a lot of it. Tip: clean (or peel) the ginger and cut into small chunks or slices. Then freeze it, and take it out whenever you need it! We have quite a few dishes that use ginger, many of which involve seafood, since the flavor pairs well with shellfish and fish. 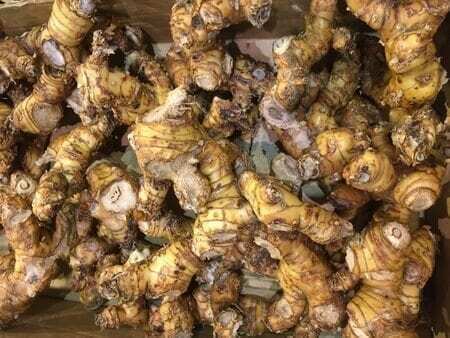 The Chinese also believe ginger has medicinal qualities and helps “cleanse” the shellfish. I’m sure you can read more about it on the internet, but we think the simple fact that it tastes good is enough! You’ll find ginger adds great flavor to Ginger Scallion Shrimp, Cantonese Style Ginger Scallion Lobster, and Ginger Scallion Crab, just to name a few. Shallots are known as 小葱 xiǎo cōng (small onion) or 青葱 (green onion) qīng cōng in Mandarin and 蔥頭 cung tau in Cantonese dialect. So here’s one of those eternal culinary question: why use shallots over onions? 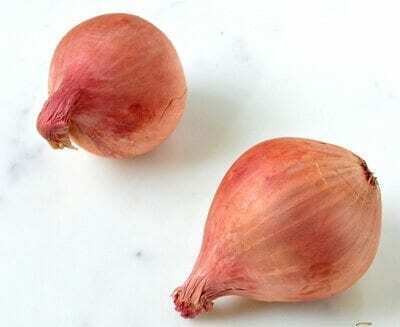 These days, shallots can be grown quite large and end up having a similar flavor to onions, so what gives? We hate to answer a question with another question but we’ll do it anyway: why use a purple onion over a white or yellow onion then? If you can answer that question, then you probably have the answer to the first question. 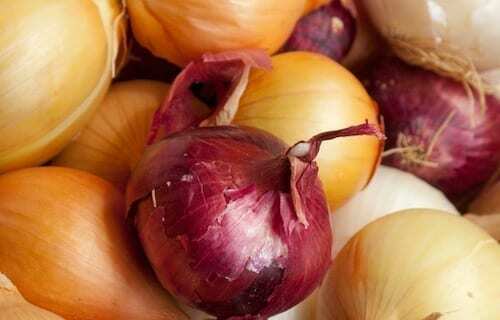 So the short answer to our question is that shallots are milder in flavor than an onion and are a bit more tender too. Purple onions are most often used in salads rather than the white or yellow variety for their added color and because they are slightly less potent. Shallots are the same way in that they have a milder onion taste, are more delicate, and perhaps sounds bit bit fancier? And yes, fancy is more expensive! Nevertheless, we use shallots in our kitchen, and, if we don’t have any, then we simply use onions. The opposite is true if our stash of shallots look like they’re taking a turn for the worse–chop them up and throw them in some fried rice! The ultimate take-home message is that, when you cook at home, you’re the boss; so shallots? Onions? We say the difference is usually tiny enough that it probably won’t matter what you use. Chinese chives or 韭菜, pronounced in Mandarin as jiǔ cài and in Cantonese as “gow choy”, this vegetable is recognized for its strong fragrance and flat leaves. 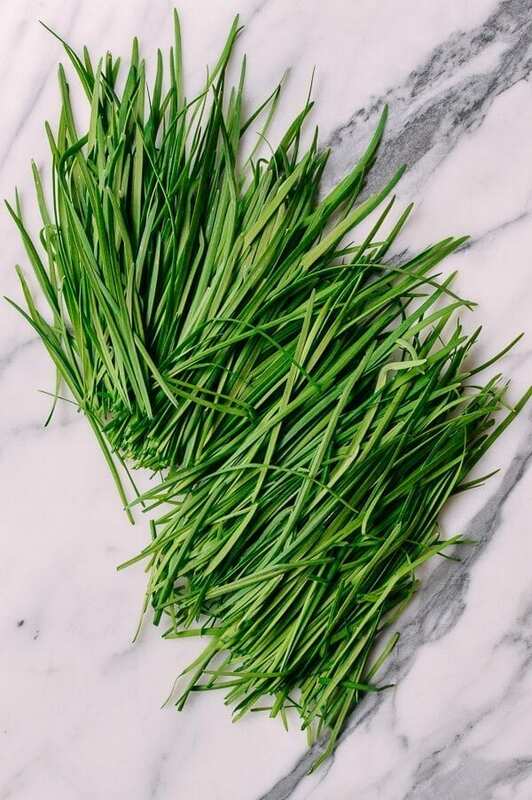 You will know you have Chinese chives around because you will definitely smell them, especially on the car ride home from the Chinese grocery store! Also known as garlic chives in the western hemisphere, these are flatter and wider than regular chives. Regular chives are often eaten raw, sprinkled over the top of something, or added to sauces and dips. 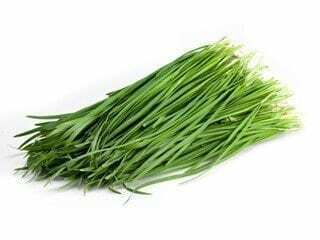 Chinese chives, on the other hand, taste a bit more vegetal than herbal, and so, we tend to use them more as a vegetable than an herb–in other words, they are almost always cooked. If you can get your hands on chive seeds, you’ll have more chives than you’ll know what to do with every summer! Just cut them like you’re trimming grass, and you’ll have more within the week. It’s GREAT. 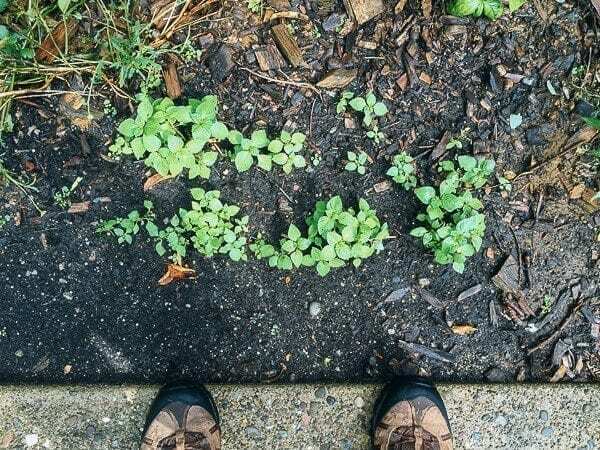 Try to mow down your basil or parsley plants like that–we can tell you that neither will ever recover. Chinese chives turn up most often in our dumpling fillings (check out our Pork Chive Dumplings (and homemade dumpling wrappers!) or just scrambled with eggs, sesame oil, salt, and white pepper. It may sound weird, but try it. Whenever we’re SCRAMBLING (ha!) for an extra side dish, or need some extra protein, it’s our go-to choice. 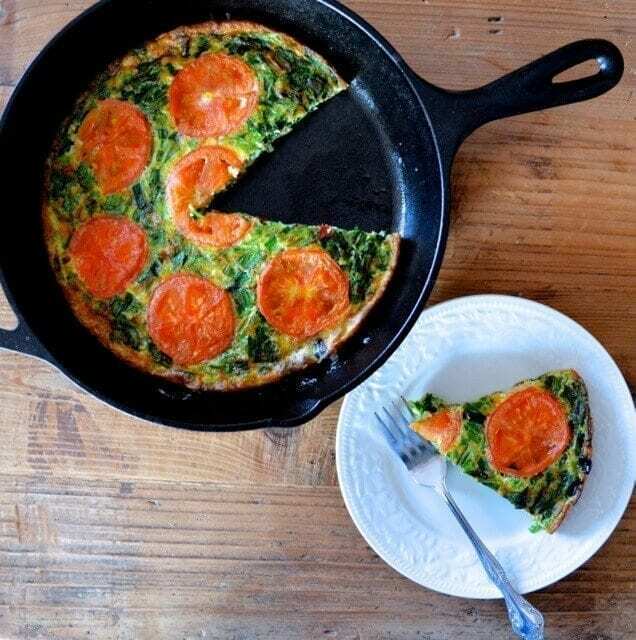 Our recipe for Chive Frittata is a simple summer favorite of ours when fresh chive and tomatoes are available. Garlic chive stems are also sold in the market and they are thicker than your normal garlic chives and have tender buds – unopened chive flowers. The stems are thicker but not quite as thick as garlic scapes, yet they are still quite tender. We use them in the popular Taiwanese Cang Ying Tou or “flies head” stir fry dish. Yes, we know it doesn’t sound appetizing but you’ll feel differently after you have it! Another best kept secret and good reason for growing Chinese chives in your garden are harvesting the chive flowers! 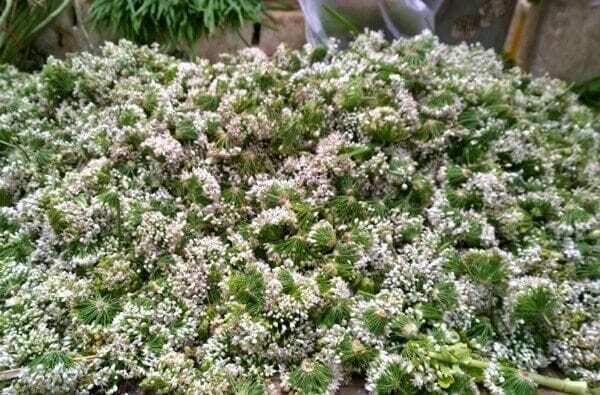 We have only seen these Chinese Chive flowers in China where they are sold in huge volumes at local farmer’s markets. They are very flavorful and will stir your creative juices in the kitchen. Just remember that if you’re harvesting them from your garden that you have a very small window to pick them and they must pick picked just when they open before the seeds start forming because then they get tough and practically inedible. 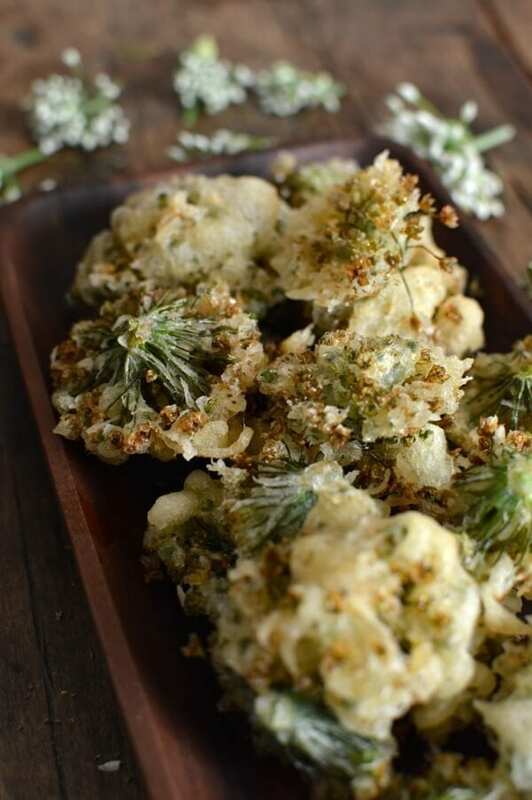 Check out our recipes for Chinese Chive flatbread and Chinese Chive Flower tempura – they will knock your socks off if you can find any volume of chive flowers! 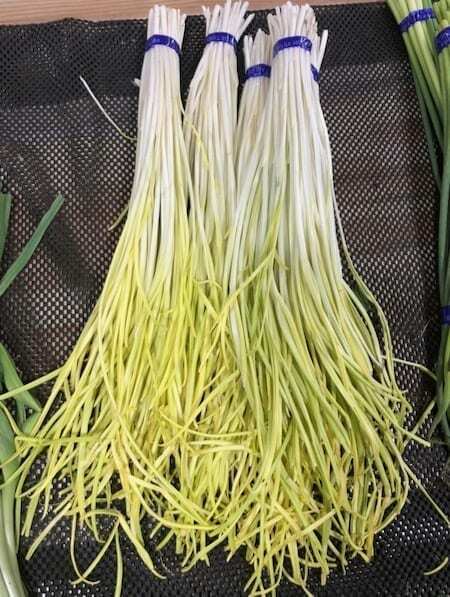 Yellow Chinese Chives, 韭黄 or “jiǔ huáng” in Mandarin (sometimes called 韭菜黄, jiǔ cài huáng) are basically the same green Chinese chives except that they have been grown with without sunlight which causes the lack of green pigment (chlorophyll). Cantonese call it “gow wang” and it is often used in Cantonese noodle and seafood dishes. 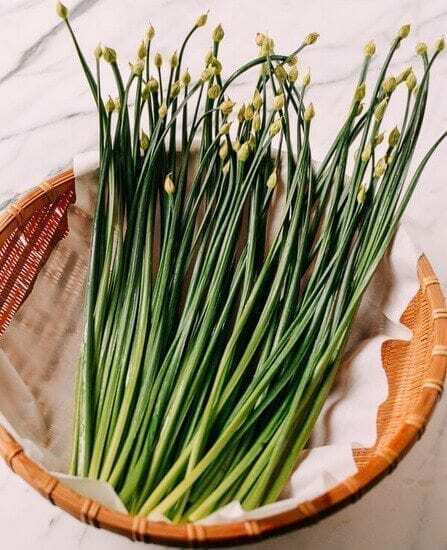 Yellow chives have the same basic flavor the green chive green in full sun but have a more mild or delicate flavor which is characteristic of Cantonese cooking. 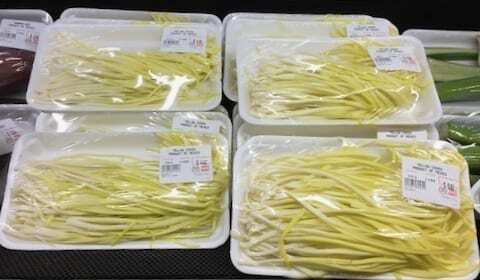 Pictured below are beautiful fresh yellow chives from a farmer’s market in Beijing China. Yellow chives can be found also neatly packaged at Asian and Chinese grocery stores in the US and other western countries. Cilantro, also called coriander, 香菜 or xiāng cài in Mandarin and pronounced “heung choy” in Cantonese is an essential ingredient in Chinese cooking. Often used for garnish and in whole steamed fish dishes and soups, you definitely want to have this herb in your pantry. When it comes to cilantro, you either love it or you hate it; whatever your stance, we had to include it in this list. 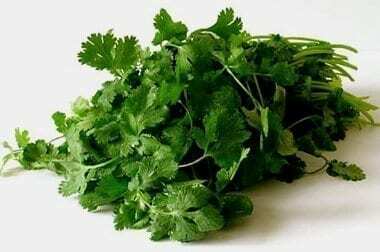 Cilantro consists of the leaves of the coriander plant and is most known as a key ingredient for Mexican dishes. It’s also used just as often in Southeast Asian dishes. 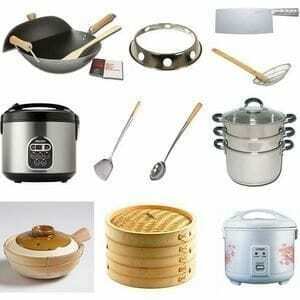 As for Chinese dishes, we like it as a garnish for noodle soups and for dishes like Whole Steamed fish. Bottom line is, you all know what cilantro is. Chinese toon or xiāng chūn (香椿) in Chinese, are a kind of aromatic that is readily available in China during the springtime. 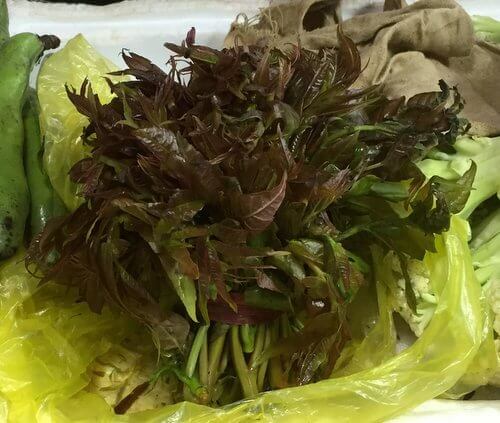 Edible Chinese toon, also known as the Chinese Mohagany, are harvested from the young leaves of the Chinese Mohagany tree in the spring when the trees are sprouting and is available for only a few weeks of the growing season. Toon leaves have a purple tint with a floral flavor that has an onion-like flavor and is frequently used in cold dishes. 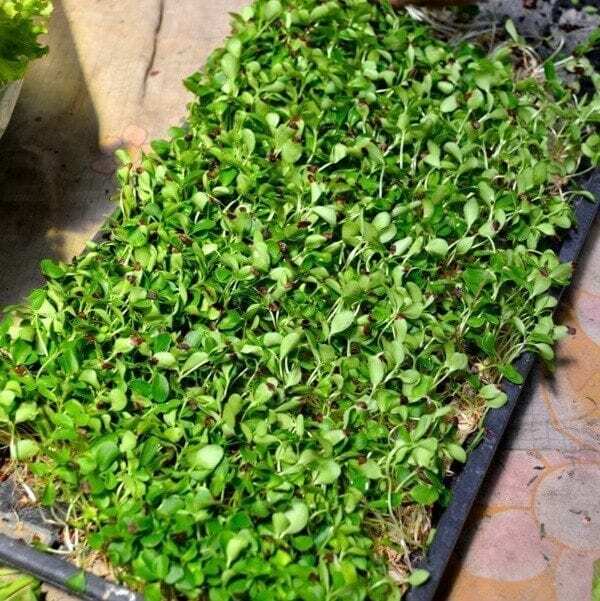 Toon sprouts (pictured below) are also available and have the same taste as the toon leaves but are much more tender and is sometimes used as a garnish in salads and other cold dishes. We had never eaten toon leaves or sprouts prior to our move to Beijing, but they really enhance the flavor of the dish. It has an unusual peppery, oniony aromatic flavor that’s very unusual and hard to describe but is great when added to salads and also cold tofu appetizers. Both of these varieties are generally used in egg dishes similar to our Shrimp and Stir-fried eggs dish. There are many varieties of basil that are similar to Thai basil, but the kind we use most often is the variety that has the purple stems and flowers. Some examples of dishes that use this fragrant herb is Thai Basil Shrimp Fried Rice, Thai Basil Beef, and the creative and seriously delicious Thai Basil Pesto Pasta. 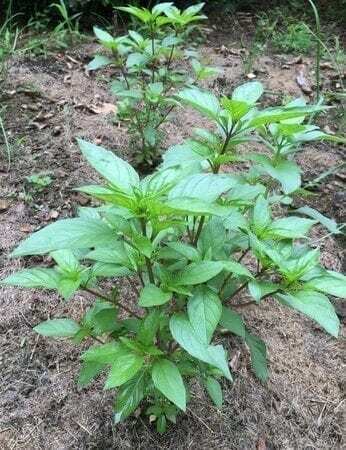 Thai basil is used in Japanese Eggplant with Chicken & Thai Basil. 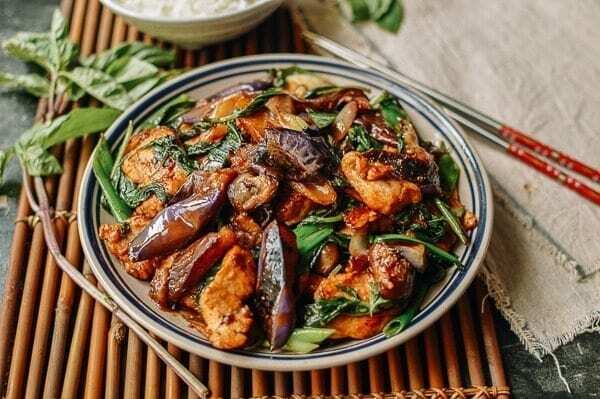 Thai basil really puts this eggplant dish over the top! Holy basil is much harder to find, even in local Asian grocery stores and is quite different in flavor from the more common Thai basil. The leaves of the holy basil are broader than the Thai basil and have jagged edges. The stems are green rather than purple and the flower buds are also more green than purple. 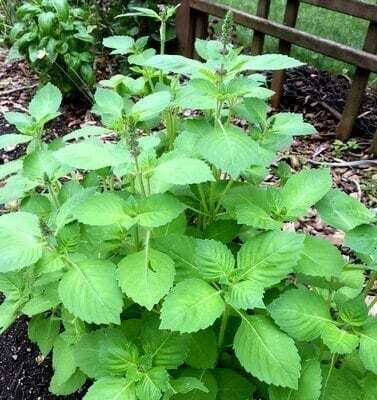 Other types of basil that look similar and can confuse you are cinnamon basil and lemon basil. Looks aside, the flavor of holy basil is very different from any of these other basil varieties having a strong similarity in taste to anise and fennel. We have published a few recipes including Thai Basil Beef (Pad Gra Prow) which many people commented about since we actually used Thai Basil instead of holy basil (literal translation of ka phrao in Thai). We even suggested that if you could not find holy basil to use Thai basil or even Italian basil! We understand why people objected to us calling any dish “gra prow” which translates to holy basil in Thai but if you have a chance to try it, you will understand that the flavor is very different also! Sorry it took us so long to update this page but we could never find holy basil at markets near us so we had to order seeds and it took us a season to get the plants mature enough to try ourselves and bring you a new dish. Pork & Holy Basil Stir-fry (Pad Kra Pao) uses the real holy basil and boy were we pleasantly surprised with its unique taste. Our holy basil plants sprouted and grew to what you see below after three to four weeks. 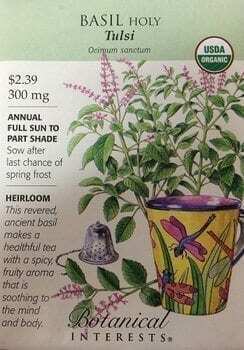 If you have a garden, check out the link below, order some holy basil seeds from Amazon, and enjoy it next summer! We planted these organic heirloom seeds in loose, fertile soil where they could get plenty of sun and they grew nicely, yielding large, fragrant plants. Curry leaves are an awesome herb that we love in Indian dishes. 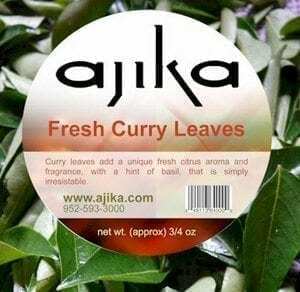 We know it’s also used in some Southeast Asian dishes, since there is quite a bit of Indian influence in the region, but we haven’t quite figured out how to use it beyond a homemade curry. So stay tuned! Makrut Limes are bumpy-skinned limes that are coveted for their fragrant leaves. Makrut lime leaves have a distinct aroma that enhance Southeast Asian soups and curry stews. Makrut is a Thai word that is used in favor of Kaffir, which, it has come to our attention, is an old racial slur and to many people, is simply offensive. From our research, “Kaffir” comes from the Arabic word kafir, and means non-believer or infidel (non-muslims) and also evolved to refer to black Africans. So you can see why we needed to change the name “Kaffir” to “Makrut” on this ingredients page. 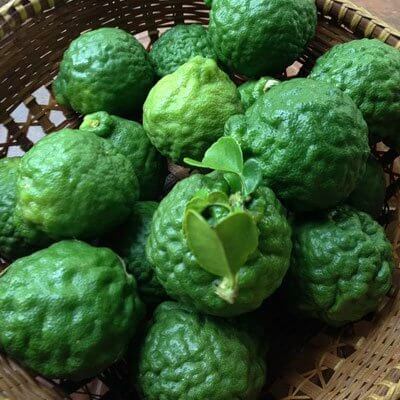 We hope that the name “Makrut lime” will be used in the future over the more common “Kaffir lime” name but in the United States and many other parts of the world, people still use “Kaffir lime”, mostly due to ignorance and because most people recognize the name “Kaffir Lime” rather than “Makrut lime”. Hopefully our change on this page will help educate people and the trend will be to use “Makrut lime” to describe this this bumpy skinned lime with beautifully fragrant leaves used for cooking. Our experience with using the Makrut lime leaf is in our recipe for Beef Rendang. Hopefully we can figure out some additional ways to use this fragrant little leaf. 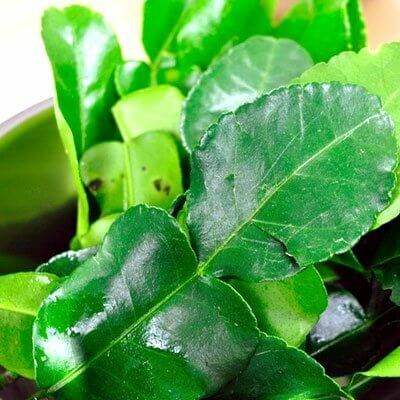 Fresh Kaffir Lime Leaves ( Thai Lime Leaves) 2 Oz. Okay, looks a little bit like bugs at first glance, but don’t panic and X out of this window just yet, because this picture of the fresh turmeric is indeed a root! Although turmeric or Jiāng huáng(姜黄) in Chinese, is used extensively in Southeast Asian cooking, its origin are from India, where it lends a rich flavor and golden color to many dishes. 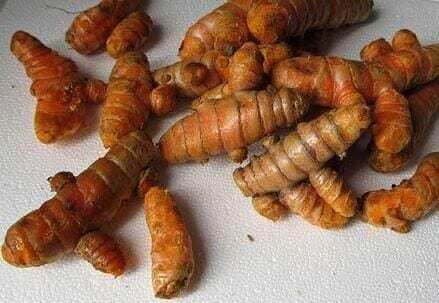 A bonus of turmeric is that it’s loaded with antioxidants and actually has some antiseptic properties. Although we haven’t published any recipes using turmeric in its fresh form, we do use turmeric powder in our Beef Rendang. It’s definitely time to expand our horizons and get some fresh turmeric into our kitchen! Lemongrass is a commonly used herb in Southeast Asia, but it has spread throughout the world due to its fragrant and fresh flavor. 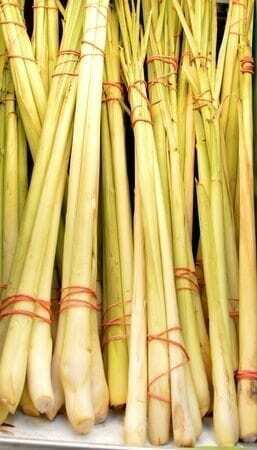 What we didn’t know about lemongrass is that certain varieties are used to make citronella for mosquito repellents. Making a mental note to start growing this on the deck AND to start incorporating it into more recipes! 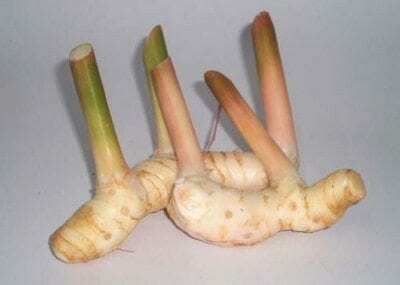 Galangal, 高良姜 pronounced in Mandarin as gāo liáng jiāng, is also known as Thai ginger and it resembles other Asian rhizomes like ginger and turmeric. Galangal is often used in Thai, Indonesian, and Malaysian cooking and the flavor is strong and even a bit citrus-like. 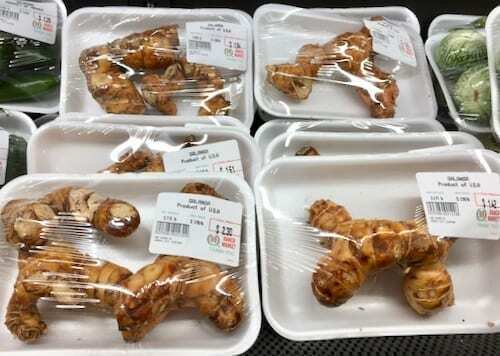 Fresh galangal is hard to come by in the US, even in Chinese and Asian markets so if you see them, grab a packet (they are relatively inexpensive) and freeze them! Galangal is definitely a cousin of the ginger root used in Southeast Asian cooking. It’s quite aromatic, and, while we don’t use the fresh galangal root often, we do have galangal powder in our pantry. It rounds out the flavor explosion in our Beef Rendang! Long hot green peppers is definitely one of our favorite peppers. It’s readily available and relatively inexpensive, and they are TASTY. The only downside is that the heat index of these peppers varies greatly–sometimes they’re perfectly delicious and mild, and sometimes they can unleash an unsuspected sweat storm during meals. We realize that’s not the greatest ringing endorsement for these peppers, but check out Tiger Skin Peppers, Beef and Pepper Stir-fry, and Sichuan Three Pepper chicken, and we think you won’t be able to stay away. 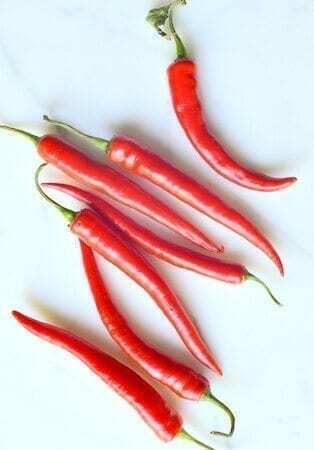 Red Thai chili pepper, also called Bird’s Eye or Bird pepper used in many dishes to add some heat like Shrimp Pad Thai or Pho Noodle Soup and they do pack a real spicy punch. We usually de-seed them to reduce some of the heat before using them in stir-fry and noodles dishes or keep them whole as a garnish. If we can’t find these peppers or want a little less heat, we will often use the larger red holland peppers. We stumbled upon Holland red chili peppers while shopping at our local Asian store and have been using them as our go-to fresh red chili pepper. They are relatively cheap and have a good level of heat–spicy enough to kick you in the pants a little but not so spicy that you feel a need to chug a gallon of milk. That being said though, the world of chili peppers is vast, and we’re always looking for new ways to add a bit of spice to our dishes. We’d love to hear about your personal chili preferences and experiences! Leave a comment below! Shishito peppers are small slender peppers that are very common in Japanese and Korean cooking. These thin walled peppers have lots of seeds and are generally sweet but every 1 or 2 out of 10 peppers can be wildy spicy so look out when you eat these! 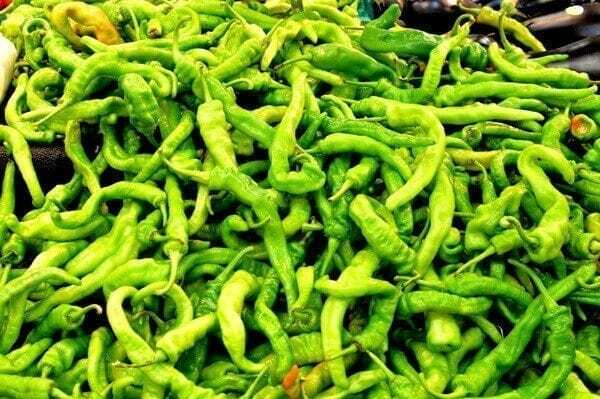 Growing in popularity, Shishito peppers are becoming more widely available at your local supermarkets. 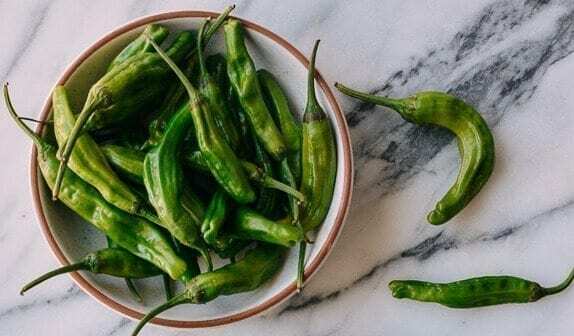 Like Spanish Padron peppers, blistered or seared Shishito peppers are quite the popular dish but they have always been used in popular dishes like Korean Beef Bulgogi. I was in a vegetarian class yesterday given by a Taiwanese couple and they mentioned that they did not eat garlic, onions, green onions or leaks because it interferes with the spirit. So instead they grind the leaves of a Chinese mahogany tree and make a green paste (sort of like pesto) and it tasted like a mix of cooked green onions, garlic and oil. I wonder if they use the leaves of the garlic but not the garlic itself and mix it with the tree leaves. Have you encounter this pesto before in your experience ? And would you share a recipe to make this green pesto with the mentioned tree leaves? I believe they call it xiāngchūn, and the scientific name of the tree is Toona sinensis. Hi BirdCA, We have the toon and toon sprouts on our Aromatic ingredients pages and you can read more about them. They do taste a bit onion-like but beyond that have a very unique aroma and taste. Like everything else, some people like it and some don’t! I am studying the history of human nutrition, since homo sapiens is the only species with what the French call l’art de la cuisine. Though I don’t fully understand this yet, I theorize that our curiosity for new foods and their combinatios/ preparations have kept us alive as an almost extinct species at one time. I have studied Chinese ( putonghua) for many years and would like to take a course. I have a chef’s diploma from a technical college. Can you give me tips on where to go from here? Hi Robb, can you please be more specific? We would love to help however we can. 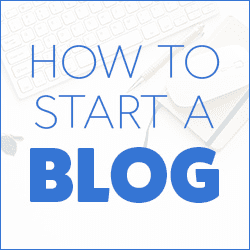 Hi thank you for your great blogs. I am from Holland and we call Holland Peppers .. Spanish Peppers. I learned that not the seeds but the white stuff they are attached with to the peppers is where the spiciness resides. Hi Steve, thanks for your comment and I agree that the white stuff in the peppers are the spiciest! Thank you for this list! In your recipes when you call for “fresh chilli peppers” (eg in the Chiu Chow sauce), which are you referring to? 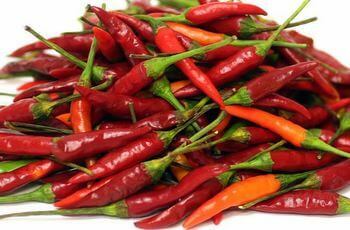 We use Holland peppers or Thai chili peppers depending upon the desired heat level. Thai chili peppers are really spicy!